Solar veteran Barry Cinnamon lays out his predictions for 2019—but cautions that it’s unwise to be complacent about a rosy solar future. Cinnamon argues inflation will hit residential solar in the coming year. With the solar industry chaos of 2018 behind us, many of us are looking toward more predictable growth from 2019…at least until the Investment Tax Credit goes to zero for residential and 10% for commercial on December 31, 2021. Then again, we’re on the solar coaster, so it is unwise to be complacent about a rosy solar future -- or the broader economy, for that matter. If both Republicans and Democrats collaborate a bit more on energy policy in Washington, D.C., we have the potential for more stability in the coming years. Luckily, I was flat-out wrong about my last prediction for 2018: The White House did not convert to coal power in 2018. Here are my 10 predictions for 2019. The Federal Reserve is trying to keep a lid on overall inflation, but the lid has blown off the pot when it comes to the solar industry. With the fortunate exception of lower module prices, costs for virtually every other component and service are going up. Tariffs are increasing inverter, electronics and mounting-system costs; general inflationary factors are increasing labor costs. Necessary new code requirements (rapid shutdown, battery safety measures, Rule 21) add to the complexity and costs of most residential and commercial installations. Nevertheless, since electric rates continue to go up with inflation, net customer economics are still improving in most markets. Marc Andreessen published his “Why Software Is Eating the World” essay in The Wall Street Journal in 2011, just as “smart” inverters were being conceived and battery systems were viable only in the off-grid world. I don’t believe software will “eat” solar and battery storage hardware anytime soon (silicon and lithium are not among the tastiest of elements), but it is clear to me that functional and reliable customer, server and administrator software/firmware are absolutely required for effective grid integration and customer service. Software is a core competency for every inverter and storage system company. These problems will continue to plague customers and EPCs — at least until there are multiple inverter and battery companies whose products are seamlessly interchangeable (as solar modules and inverters currently are). Tesla and Enphase were wise to integrate their batteries and inverter in a single enclosure. LG Chem and LG Electronics are teaming up for a complete packaged offering, and market leader SolarEdge is expected to add batteries to its product portfolio now that it has acquired Korean company Kokam. According to Paul Samuelson, “The stock market has predicted nine of the last five recessions,” so the expectation is high that the next recession is on the horizon. When it hits, financing will be even more critical to the solar industry. During the last recession a dozen years ago, the residential solar industry almost ground to a halt as real estate values collapsed, eliminating the use of home equity loans for system financing. EPCs that offered to finance solar installations — both for residential and commercial systems — thrived compared to cash-only providers. U.S. solar manufacturing will continue to decline on a worldwide percentage basis, in spite of illusory tariff benefits. Tariffs were applied to solar cells and modules ostensibly to help U.S. manufacturers. But since virtually all the components in a solar module must be imported (everything from cells down to junction boxes), the tariffs on these components put U.S. manufacturers at an even greater disadvantage. Meanwhile, overseas manufacturers continued to ramp up their volumes and reduce costs. Kudos go to those intrepid U.S. module manufacturers that are striving to succeed in the face of hostile economic policies for their business. Public utility commissions will compel incumbent utilities to leverage distributed solar and storage — in addition to new grid infrastructure — to improve grid reliability. Whether it’s grid edge technology, distributed energy resources, or behind-the-meter solar and storage, deployments of these systems without significant utility investments are good for ratepayers. The dilemma — as always — will be fairly compensating customers for the use of their own assets. Note that these customer assets are not only solar panels and batteries, but also smart inverters that can be remotely controlled to support the grid. Investor-owned utilities will continue to lobby hard to install their own generation and storage assets, and “rate-base” (essentially charge customers for) these new investments. Cost-effective and reliable battery storage systems are still at the bleeding-edge stage, so it will likely be a few more years before they are attached to 50% of systems (including retrofits and upgrades). The two big benefits of combined solar and storage systems — backup power and energy cost savings — are only partially addressed by the first-generation systems currently on the market. 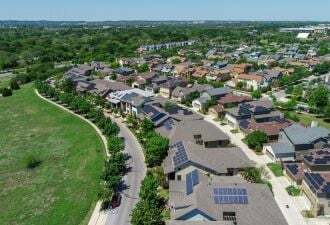 Customer backup power needs will be met more effectively when solar-plus-storage systems can effectively integrate with 200-amp residential service panels. Battery systems provide more compelling customer benefits as peak electric rates move into the evening and new per-kWh fees are added to electric bills (such as non-bypassable charges and power charge indifference adjustments). Unfortunately, hostile interconnection and incentive policies for battery storage systems often thwart these potential savings. Virtual power plants will gain traction in the market as pilot programs demonstrate their value in reducing peak utility energy costs. VPPs are basically distributed networks of solar, batteries and controllable loads (EV chargers, HVAC systems) that can be dispatched to support the grid with more power (solar or batteries), or temporarily disengaged to reduce loads (EV chargers, HVAC systems). These VPPs will have the most immediate impact among energy retailers, community-choice aggregation utilities and municipal utilities, since investor-owned utilities maximize their profits by owning generating and distribution assets. Maintenance of existing systems — including cleaning panels, replacing inverters, updating archaic monitoring systems and replacing broken panels — will be an increasing part of contractors’ business. Although panels generally can last for 25+ years, inverters and their communication systems are usually good for only 10-15 years. Successful contractors will find that providing these services is one of the best ways to generate referral business. 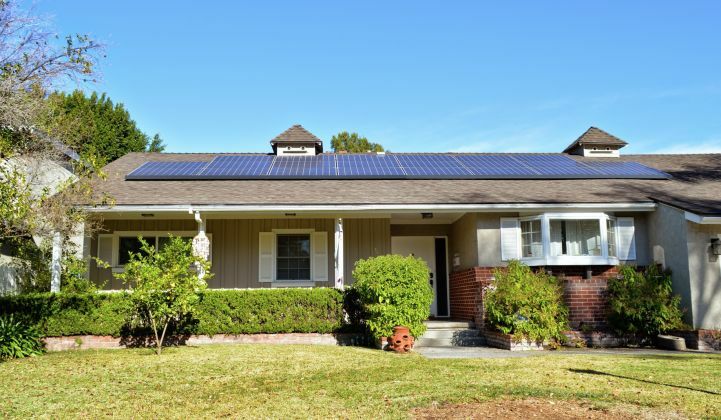 Residential solar prices will bottom out at an average $2.50/watt until permitting, inspection, interconnection, incentive and selling costs are reduced. Even if solar panels were free, average prices will be over $2.00/watt until these soft costs begin to fall. Of course, there will be lower- and higher-cost systems depending on location and equipment, but most contractors operating long-term businesses will be at the higher end of the range in their locale. To make these soft-cost problems worse, contractors installing grid-tied battery storage systems are experiencing permitting, interconnection and incentive delays in excess of 12 months — a reality that is almost impossible to explain to customers. Please support the efforts by Solar Energy Industries Association and The Solar Foundation to reduce these costs with their Solar Automated Permit Processing (SolarAPP) initiative. As I wrap up these 2019 comments, I am humbled by Yogi Berra’s advice: “It’s tough to make predictions, especially about the future.” Nevertheless, I am confident in two key elements of our industry: We are doing the right thing for the global environment, and the economics of solar-plus-storage remain superior to any other energy source. I remain optimistic that — regardless of the next plunge in the solar coaster — our industry will continue to thrive over the long term.